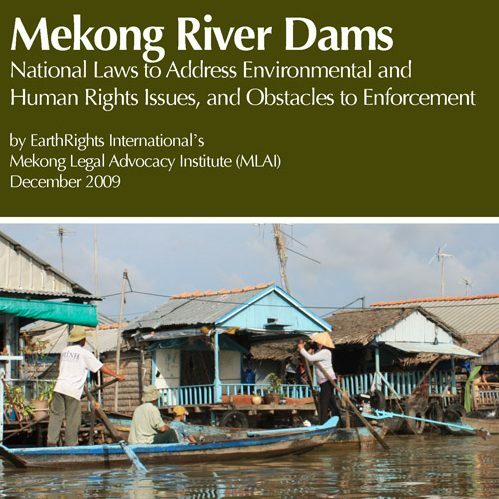 On December 1st, 2009, lawyers with EarthRights International’s Mekong Legal Advocacy Institute (MLAI) and the Cambodian Samreth Law Group submitted an in-depth legal analysis to the Mekong River Commission (MRC) regarding proposals to build up to 11 dams on the lower mainstream of the Mekong River. This marks the first time a multi-national team of lawyers has addressed the MRC on the dam plans, and promises to bring a new perspective on the proper role of lawyers and the necessity of rule-of-law to provide justice to all the people who rely on the Mekong River for their daily livelihoods. The legal analysis in this submission covers national laws related to dam construction and operations for each of the countries on the Mekong: China, Burma, Lao, Thailand, Cambodia and Vietnam. 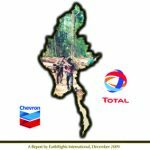 Five important legal issues are addressed for each country: public participation, access to information, environmental impact assessment, preventing or mitigating environmental damage and land confiscation, and compensation and resettlement.